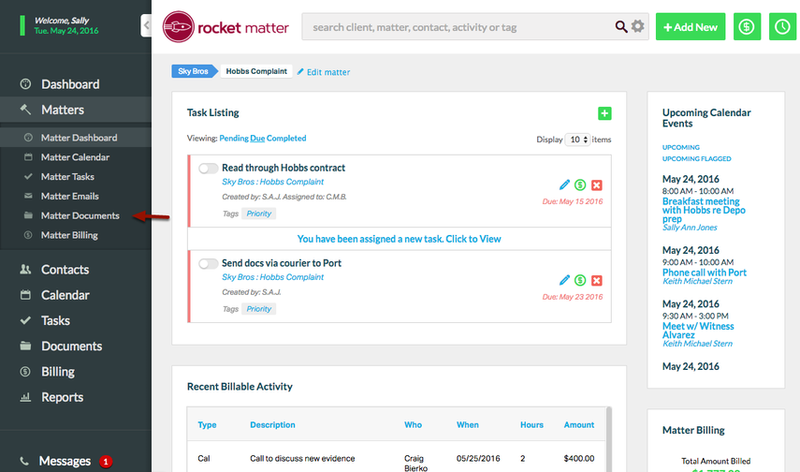 Rocket Matter Knowledge Base DocumentsHow to map a Dropbox Directory to Matter Documents. 1. Navigate to the Matter you wish to link the Dropbox directory to. Zoom: 2. 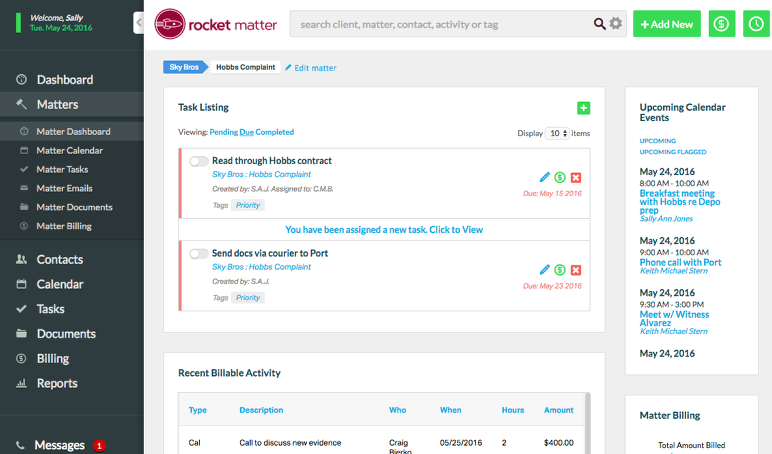 &nbsp;Click &quot;Matter Documents&quot;. 3. Select 'Set Dropbox Directory'. 4. 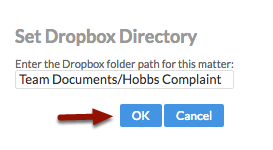 Enter the Dropbox folder path EXACTLY as it appears in Dropbox, and click "OK". Tip: Log into Dropbox to view the directory paths. The root directory Dropbox does not have to appear in the file path, but the secondary path description should be recorded. Pay special attention that you type in spacing and capitalization correctly. 5. 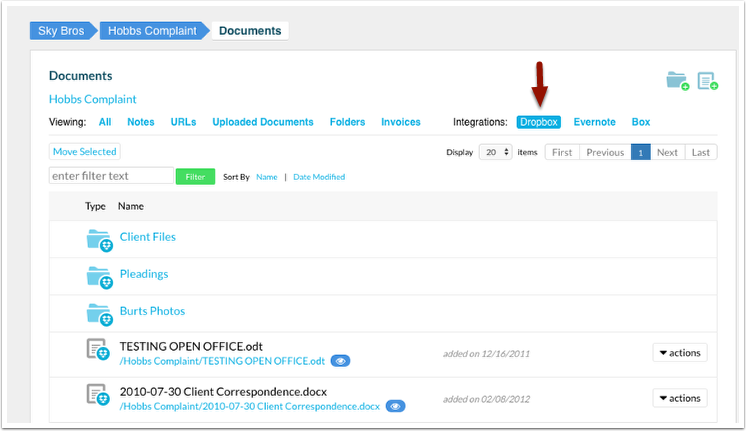 View your Dropbox Documents in the Matter Documents section. Prev: How to set up a Box integration. Next: How to map a Box Directory to Matter Documents.